Kapok fiber is the seed pod fluff of a rain forest tree called the Ceiba tree or the silk cotton tree. The pods are harvested in the East and the trees are left standing. The fluff is actually buoyant; it was used in the designs for the first life jackets, that is, until synthetic foams came on the market. Its feel is similar to the light weight feeling of down, but without the allergies and the loss of loft that go with feathers. 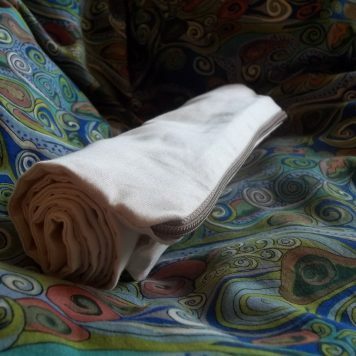 The silk is luxurious to the touch and a medium firm support. Pillows stuffed with kapok act most like standard pillows. They have loft, can be fluffed, do not need to be punched in the middle of the night and retain their shape well. Kapok makes a great decorative pillow as overstuffing a pillow case with it highlights the pillow’s shape and fabric well. To stuff a pillow, the following weights will give you plenty of fill. The more fill, the firmer the pillow is. To fluff, see the Care Tab. To determine the amount of fill needed for your custom sized project, visit our Custom Calculator. Select the shape of your pillow and the loose fill of your choose. Fill can be purchased here or at the top of the calculator’s page. 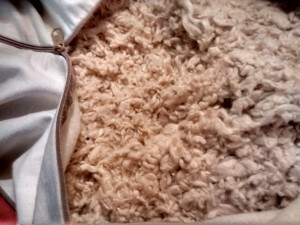 Inside a bag or your pillow, pull apart the compressed fluff enough so that it doesn’t clump. 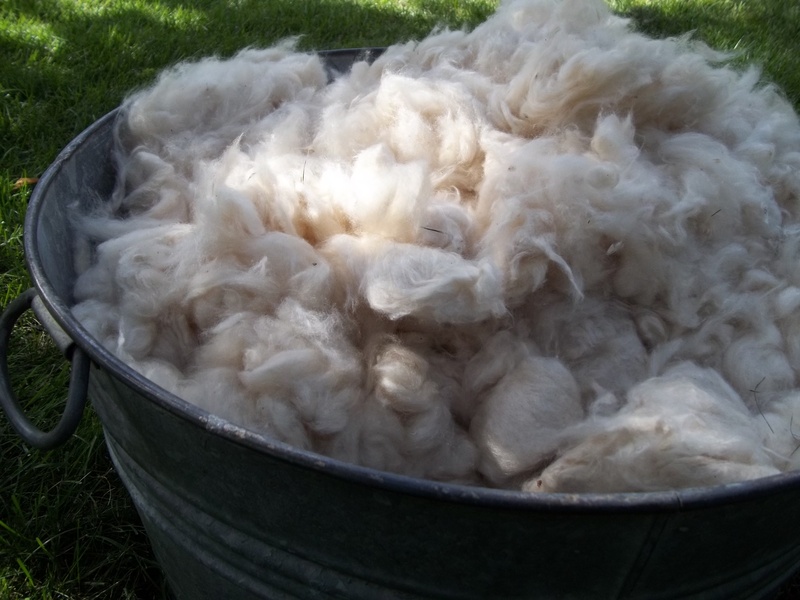 The fibers do not need to be completely separated, just without lumps. Occasionally you may find debris in the kapok, a seed pod, a stick, sometimes a string from packaging, simply discard the unfluffy stuff. 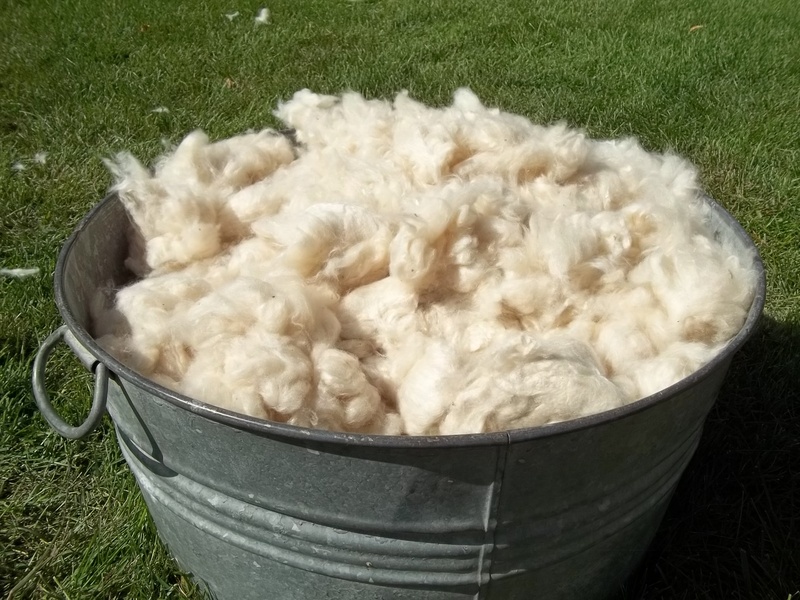 Fill the pillow slowly or the fibers will become airborne and you’ll have some dusting to do. I usually fill with the zipper half open and then close it more as I get to the top. Pack the fill in tightly. When fully stuffed, pound that pillow from all sides. 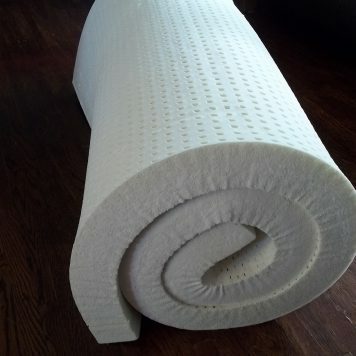 The thumping will even out the lumps and smooth the whole pillow. NOTE: The fluff easily becomes air borne and a mask/ bandana over the mouth may be useful. If you look on your fingertips after touching the kapok, there will be tiny fibers clinging to them. Caution is advised when touching your eyes with kapok fiber as it is itchy in an eye. 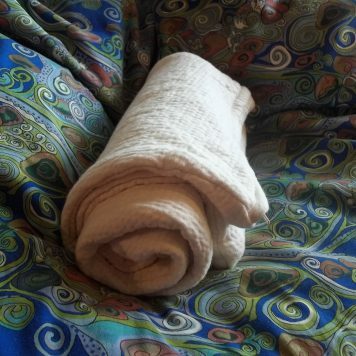 The kapok fiber is coated with a waxy substance which makes it bouyant and water resistant. 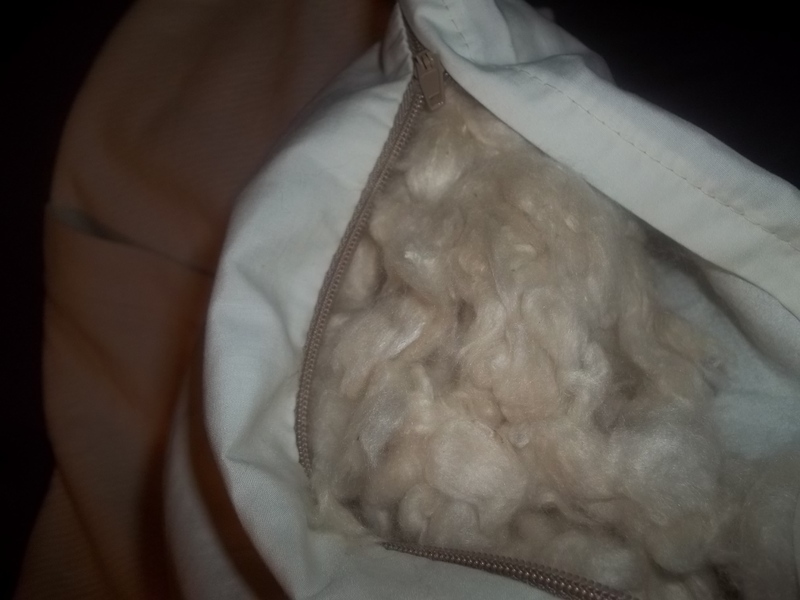 Kapok in it can also be washed INSIDE a case, just like down pillows. Wash in your washing machine or with the hose. Dry thoroughly. Because they are so dense, drying the pillow outside in the sun will take weeks to dry the kapok. 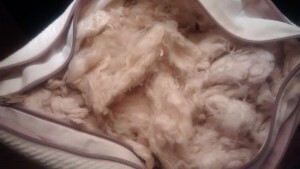 It is better to dry in your dryer multiple times, about 3 loads length to ensure all the fiber are dry throughout. Kapok will break down. It will become smaller. Compare these two pictures of new and 1 year old kapok. 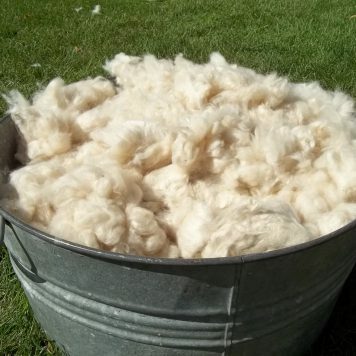 While this fiber is called “silk cotton”, it doesn’t share all the properties of cotton. It is a brittle fiber, causing it not to be able to form a thread. Your kapok will break down into little balls like woolly bolas after about a year. 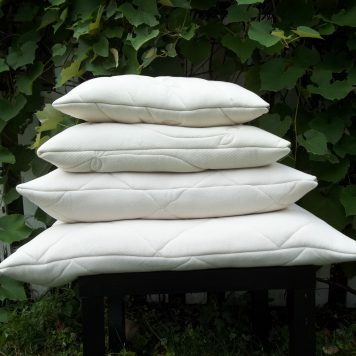 The kapok is still completely usable once it breaks down, leaving more space in the case and creating a firmer pillow. In fact, we always include more kapok than you initially need so that you have extra to add to it later after it shrinks. 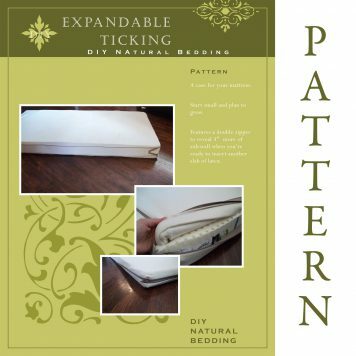 Simply unzip the case and add more fill to return to pillow to its desired height.